We just keep getting fatter. For decades, millions of Americans have tried to lose weight and keep it off, but most of us fail miserably. According to the Centers for Disease Control and Prevention, 70 percent of us are either overweight or obese, and that number is expected to continue increasing. Despite regular exercise, dieting, and even weight-loss surgery, the majority of us just can't permanently get rid of those pesky pounds. So, what gives? Why, despite all of our efforts are we getting heavier and heavier? Are we steadily gaining weight because of the food, our dieting culture, lack of exercise, or our genes? And why, for goodness sake, is there so much conflicting information from scientists, doctors, and other experts? Let's take a look at the food. One thing I know for sure, if you're trying to slim down, don't eat out! Restaurant food is just laden with tons and tons of extra calories, salt, and fat. An innocent-looking appetizer can easily set you back 2,000 calories, and that's before you even look at your entrée. Portion control, what's that? When it comes to restaurants, our portions are way out of control. In the past, "supersize" was a term applied primarily to fast-food restaurants, but now, nearly every restaurant "supersizes" its meals. I know all too well that all of my hard work during the week can be blown by restaurant indulgences on the weekend. You just can't exercise away all those extra restaurant calories. So what's it all mean? Generally speaking, one night of eating out probably means you need to eat strictly clean for the next two days, and that's just to get back to where you were. Have you ever been on a cruise? Most people easily pile on the pounds (typically around 10 pounds) on a seven- to 10-day cruise. That's how easy it is. I think dieting is actually a leading cause of obesity. 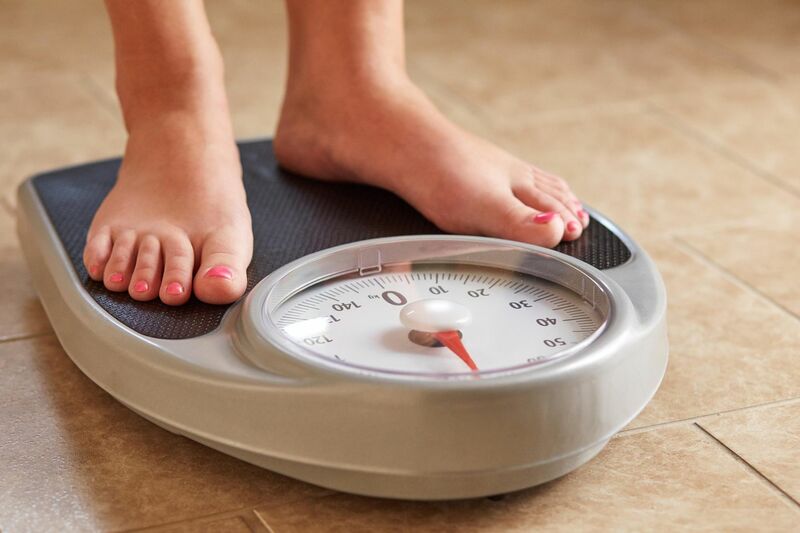 Let's examine the facts: 98 percent of people who lose weight regain it within five years, and 90 percent gain even more weight than they initially lost. A typical weight-loss plan will recommend that a women who consumes between 2,000 and 2,400 calories per day to cut her calories in half. Half the calories is 1,000 to 1,200 calories a day. Sounds like a starvation plan, right? That's because it is a starvation plan, which is surely a recipe for disaster, and assured weight gain later. In the long run, low-calorie diets do more harm than good. I know, because every single time I have lost weight quickly, I quickly found it again. The secret is to just cut back just a little, maybe 100 to 200 calories. Of course, progress will be slower, but it works. Slow and steady does win the race, and that way, you're less likely to disrupt your hormones and keep your body in homeostasis. Needless to say, if you're trying to slim down, stop dieting! Regardless of your size or weight, you should exercise. Everyone should exercise, because exercise does so many wonderful things for our bodies. Simple exercises like walking, taking the stairs, and a few calisthenics will generally do the trick. However, it's nearly impossible to exercise your way out of a poor diet. Exercise does not give us a license to eat as much as we want. Of course, our genetics play a big role in our appearance and propensity to gain weight. For example, if you're an ectomorph, a naturally lean person, you will likely never gain excess weight. On the other hand, if you're an endomorph, a person who is naturally more substantial, you will likely easily gain weight and keep it on. No, we can't change our genetics, but we can certainly make a conscious effort to dine out healthier, avoid dieting at all costs, and exercise regularly. When it comes to slimming down permanently, an ounce of prevention is truly worth a pound of cure.